Brettspiel Adventskalender 2015 társasjáték kiegészítő - Magyarország társasjáték keresője! A társasjáték érték! Ez a játék a(z) Babszüret kiegészítője. A Brettspiel Adventskalender 2015 egy könnyen tanulható kiegészítő a Babszüret társasjátékhoz, 2 - 7 játékos részére. A társast, a könnyebb tanulhatósága ellenére, csak 13 éves kortól ajánljuk kipróbálni. 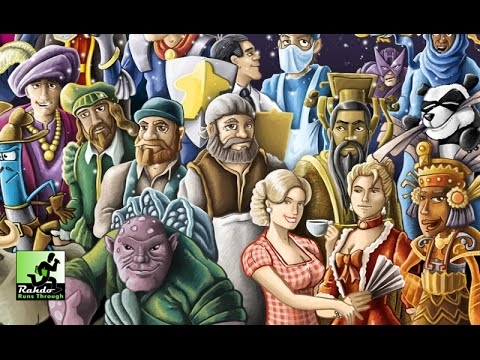 Brettspiel Adventskalender 2015 is pretty much what the name says it is: A board game advent calendar for 2015. It contains 24 small expansions for 24 different games, from 21 different publishers. The game rules are not included, but are posted separately on the publisher's web site, on each day from December 1st to 24th. Catan Scenarios: Santa Claus - Give Santa Claus 1 wool as a gift and you can set him on any landscape to get a gift token for any Settlement or town (or 2 tokens on Santa's house). If you give him 2 wool, he can expel the robber. 2 gift tokens can be exchanged for a resource. Torfbrandziegelei: Immediately (and only after building this Peat-Fired Brickworks), per Shovel you have, you may exchange 1 Clay and 1 Peat for 1 Brick. Vierspänner: 1 Triple Space for Vehicle Actions (bigger version: 1 additional Single Space). Like Double Spaces, the Triple Space cannot hold tiles that are smaller than the space (e.g. you cannot place Linen there). In the bigger version, you can cover both the Triple and Single Space with one tile of size 4. Colt Express: North Pole Station - Included is a single Train Station card. At the end of the game, each Bandit gives his highest purse to the imp. Dice placed on the slot machine can show any number, 1-6. A player must place all dice of one number. However, the number on the dice must be different than the numbers already on the slot machine. If two or more players have tied for the most dice placed on the slot machine, the winner is the player whose dice have the highest sum. If that players’ dice have the same sum, the player with the higher single die wins first choice. The front card on the bean market costs 1 QBD, the second card is 2 QBDs, the third card is 3 QBDs, and so on. During the "Trading and Donating“ phase, you may trade the chance to buy a card from the bean market to another player. When you buy a card from the bean market, you have to plant it immediately. Loony Quest: Special Item - Included are 1 alternative score token, 1 alternative character token, and 4 bonus tokens. A player who has a Ski tile may discard it during the scoring step and place his score token behind the score token of the nearest opponent on the score track. Doctor Panic: Klaus Santa - Included is an exclusive and limited patient card. Rokoko: The Festivity Dresses - Included are 4 Festivity Dress tiles. The Festivity Dresses are manufactured like the normal Dresses. However, they cannot be sold. Once made, immediately and only this once gain Prestige Points. Zooloretto: Skunk - Included is a single animal tile of a skunk. The first player who fills his 6-space enclosure takes the Skunk enclosure as a bonus. Once owned pay 2 coins to discard all tiles of one animal type from your barn as an additional action. In turn order all other players may then pay 1 coin to the bank to purchase 1 of the discarded tiles and add it to their zoo. Orléans: Christmas Market - Included are a Christmas Market tile and 2 20 coin tokens. In addition a single six-sided die is needed. When you activate the Christmas Market, roll the six-sided die. The result determines the bonus you will be getting. Umbau: Immediately place this building on top of one of the Start buildings “Forest Glassworks” or “Brotherhood of the Masons”. The Rebuild is worth 3 points. Einfriedung: * 4 points if you have no empty spaces left on your Landscape board at the end of the game. Christkindlesmarkt: * 1 point per Bonus building on your Landscape board. Gaststube: When you build the Guesthouse, immediately use a Processing building on the Building board. Joker goods token: A player can choose to use his/her Joker goods token anytime as 1 good of his/her choice. Targi token: When both players have placed their Targi figures, a player may place his/her Targi token on any free Border card. This can even be a card opposite of the other player’s Targi. Tribe marker token: When both players have placed their Tribe markers, a player may place his/her Tribe marker token on any free intersection, which is on an unbroken direct line from the Robber and also one of his Targi figures. Abyss: Key Monster Tokens - Included are 5 Key Monster tokens. When a player draws a Key Monster token he puts it open in front of him. It counts as key to take control of Locations. Sweetener Scandal: Return a Flavor Die to the supply to force another player to discard their Blend. Creamer: On another player’s Roll, return a Token to force that player to re-roll all their dice. Lukewarm: Return a Token to the supply to force another player to degrade their Featured Blend by one bean. Ability Swap: Return a Token to the supply to swap the location of two Ability Discs on the Main Coaster. Wizard: The Christmas Wizards - Included are 4 wizard cards. If you‘re playing Wizard between Thanksgiving and Christmas, the Christmas wizards are stronger than the regular wizards, so they always beat them to any trick. The last Christmas wizard to be played in each trick wins it. Splendor: Special Noble Patron - Included is 1 noble tile. This noble tile can be used in any game of Splendor. Cacao: Big Market & Golden Temple - Included are 2 jungle tiles, namely a market with a selling price of 5 gold and a temple with 8 gold for 1st place and 1 gold for 2nd place. Zhanguo: Brettspiel Adventskalender 2015 Expansion - Included are 3 Task tiles and 1 Wall tile. Marvel Dice Masters: Avengers vs. X-Men: Hawkeye: Avengers Disassembled - Included is 1 card. Once per turn, during your Main Step, you may knock out a Hawkeye die you control. If you do, you may deal damage equal to his attack divided any way you choose to your opponent’s characters. The Castles of Burgundy: The Cloisters - Included are 5 cloister tokens. Each round, place one cloister (in place of a black-backed tile) onto the central black depot. A cloister can be bought from the central black depot for 2 Silverlings, and is then placed onto an empty storage space. A cloister can then be placed onto an empty space in the player’s estate that is adjacent to at least one previously placed tile and that matches the number on the player’s die. El Gaucho: Mini Expansion: Fodder for the Cattle - Included are 8 Feedbag tokens. On your turn, you can use one of the two dice you chose to take a Feedbag. Each time you sell a Herd, you can discard up to 2 Feedbags. For each Feedbag you discard, you can increase the value of the most valuable Cattle Tile in the Herd by 1. Isle of Skye: From Chieftain to King: New Scoring Tiles - Included are 2 Scoring tiles. One provides 3 VPs for each horizontal line of at least 3 contiguous land­scape tiles in the clan territory. The other provides VPs for one of your scrolls. If the scroll is in a completed area, you receive double the VPs for it. Place a follower from his supply on a tile where he already has a follower. Remove a follower from a tile and return it to his supply. Power Grid: High-Voltage DC Transmission Passage C - Included are 6 transmission line tiles. Germany plans a new high-voltage transmission line from North Germany to South Germany. In this mini-expansion you are building this transmission line, so step by step your power companies do not need to pay connection costs anymore between Cuxhaven and Stuttgart. Sadly, the construction of this transmission line is paid with tax money, so you must pay taxes for supplying cities with electricity.